A year after the ratification of the IMO Ballast Water Management (BWM) Convention in September 2017, the process of installation of the system aboard ships has proven to be more than a walk in the park. Shipowners have been urged to take time to plan the installation process ahead of the expected rise in demand for ballast water treatment systems from September 2019 in the retrofit segment, which is where most of the activity is today. 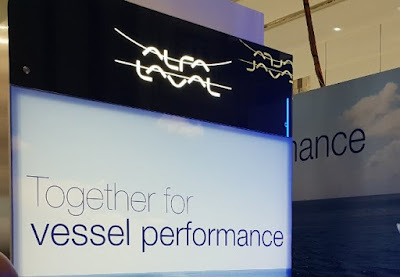 Anders Lindmark, Head of Alfa Laval PureBallast Alfa Laval Marine Division, said that shipowners should take at least nine months to consider all the planning factors before moving ahead with the installation process itself. In an interview with World Maritime News at the SMM tradeshow in Hamburg, he explained that owners need to select the technology, the system maker, and understand different needs for specific vessels, especially for owners that have fleets with different types of ships. The process includes reviewing the technology that fits a certain vessel and reviewing the suppliers to work with – stages which take several months to complete. Another point that shipowners should consider is the way they are trading vessels, Lindmark said, adding that if the trading is undertaken globally that means that the owner should look for someone that has a global footprint. After these steps, shipowners will need to undertake the engineering to fit the selected system onboard the vessel, while the supplier produces the system. 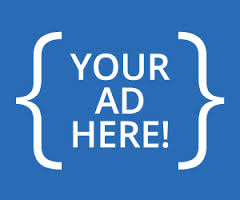 “Our recommendation is that you should take at least nine months for the phase before the installation. For many segments, the installation can be made during a normal scheduled drydock, if you have prepared well. After that, you need to be compliant with the IMO regulation,” according to Lindmark. “We have a portfolio that covers flows from 32 to 6,000 cubic meters, meaning that we have a fit for all of the segments from the market. We see activity in all of them,” he said, adding that numerous discussion with clients were underway across different segments amid rising demand. Testifying to the rise in Alfa Laval’s demand is the surge in the company’s order intake. In 2016 Alfa Laval’s order intake stood at SEK 264 million, while just a year later it jumped to SEK 724 million and activity continue to increase, according to Lindmark. In an effort to allow masters and crews to become familiar with the ballast water treatment system, Alfa Laval recently introduced a computer-based training tool for PureBallast 3. Apart from selecting the system with the right certificate, the shipowners also need to ensure the system is maintained and operated in a correct way to be compliant for the lifetime of the vessel. Alfa Laval is providing different alternatives for crew training, including training centers in the US, Europe, India, the Philippines, Singapore and Shanghai, as well as a simulator that can be installed if the shipowners have their own training center. “We provide training during commissioning of the system, and we have a number of service packages, including training when our engineer is on board. We launched the computer-based training as a good alternative for both online and offline crew training when they are not at a specific training center,” Lindmark explained. Commenting on the recently introduced concept of ballast-free vessels, Lindmark said that this is just one of the numerous ideas and innovations that are being discussed in the market. The company announced ‘Together for vessel performance’ as its center theme at the SMM, but vessel performance goes beyond equipment itself, according to Lindmark. Aside from the equipment that Alfa Laval provides into the marine industry, the company also provides services to make sure that customers optimize their operations throughout the lifetime of the vessel.